Your kids will love this FREE Easter BINGO Game. It is perfect for at home or for a Sunday School Lessons for kids from preschool, kindergarten, to elementary age kids. 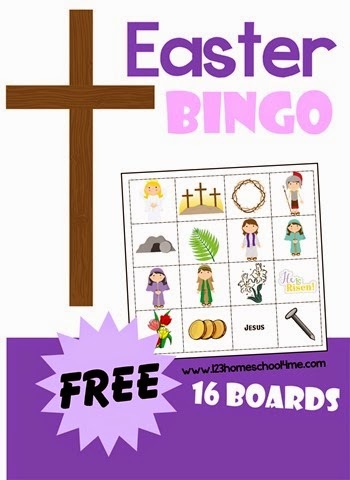 This FREE Easter BINGO Game for kids to play in Easter. This game contains 16 boards so that you can play Eater Bingo at home, coop or Sunday school. As this activity is picture based it works well for toddler, preschool, kindergarten, 1st grade, 2nd grade, 3rd grade, 4th grade, 5th grade, and 6th grade kids. This is such a fun way for kids to become familiar with symbols of Easter.